ForexRobot.com is an automated trading software, that works with brokers offering CFD’s on Forex and Crypto Currencies. The Forex Robot underlying software was originally developed in 2014 by a team of French programmers for use with Binary Options. At launch the software is connected with only a few brokers, but they are integrating new brokers every week. While there are many scam trading systems out there, sending spam emails and making flashy videos, when you look at this trading system you can see it is strictly business. Forex Robot is clear and transparent like its sister software called Option Robot. The system has multiple options for you to configure, and this makes it better than the scam “one button robots”. Signals: Select which time frame you are interested in: Short Term, Medium Term and Long Term. Method: Here you can choose which strategy you want to auto trade: Classic, Martingale or Fibonacci. Crypto & Forex Pairs: The Forex Robot can auto trade up to eight fiat currency pairs and four crypto currency pairs including, Bitcoin, Dash, ETC and Ethereum. Max Simultaneous Trades: This is the number of trades that the system will have going at the same time. Indicators: You choose from 7 indicators (signal sources). The indicators are what the signals are generated from. So if you select Trend for example, the software will start placing trades anytime there is a pattern that matches. The most common complaint you will see in the traders forum is about scam brokers, that work with scam trading robots. 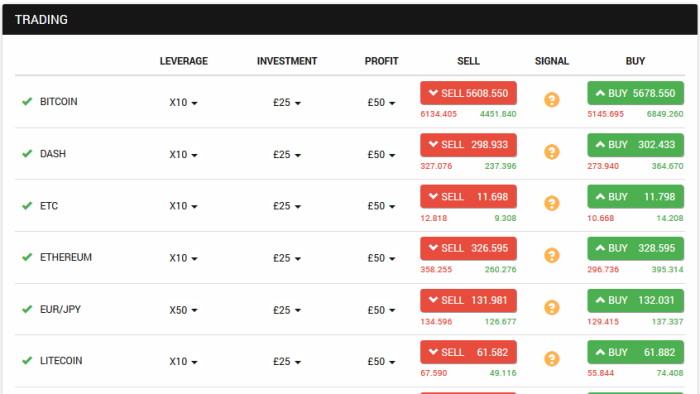 The nice part about ForexRobot.com is that you have the ability to choose which broker to use. 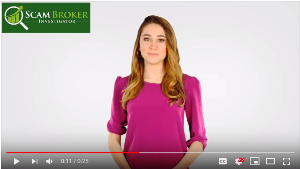 First make sure to read our reviews of the available brokers: Roiteks, PrimeCFDs, Olsson Capital, Ashford Investments and Greenfields Capital. You may have seen the scam robots advertising 90% accuracy, and guaranteed success. You will not find any promise like that at the Forex Robot. The reason has to do with your ability to control the software. Since you decide how many signals, and which signal the robot should trade, your results will never be the same as another persons results. Caution! If you try out the demo mode, will all the options selected, you will be amazed how many trades the robot can place at one time. So be careful, and select a low number. You have many options available for automated trading systems. Take a few minutes to compare the popular brokers that have auto-trading software available at the Signals Page.